LONDON (JTA) — Less than three weeks after Ed Miliband was elected the leader of Britain’s Labor Party, Jewish concerns are growing about how his views will shape the policies toward Israel of the party favored by most British Jews. Jewish political observers are talking about a possible new reality in Labor in which Miliband, the first Jewish head of the 110-year-old party, will deviate from the solidly pro-Israel stances of former prime ministers Gordon Brown and Tony Blair, also of Labor. The universal jurisdiction legislation is a proposed law pending before Parliament that would restrict the application in Britain of arrest warrants issued elsewhere on the ground of “universal law” — essentially removing the threat that visiting Israeli leaders would be arrested on war crimes charges. Miliband, 40, surprised pundits last month by beating his older brother, former Foreign Secretary David Miliband, 44, in the race for Labor leader. He was the first party leader elected since Brown resigned after losing the race for prime minister. After Miliband’s Manchester speech raised Jewish eyebrows, a spokesman declined to answer questions that the Jewish Chronicle had for Miliband about Israel, foreign policy or his plans to meet Jewish leaders. At the “fringe” meetings held at the Labor Party conference, where elected party leaders can speak directly to supporters’ concerns, Jews got a mixed message from Miliband. But Jonathan Arkush, the senior vice president of the organization, told the Jewish Chronicle that he was worried. At the party conference in Manchester he spoke openly of growing up the child of Jewish refugees. His late father, Ralph Miliband, fled Poland and the Nazis in 1940 and later became a Marxist, a professor at the London School of Economics and one of Britain’s most celebrated left-wing intellectuals. Milband’s mother, Marion Kozak, 75, escaped mass murder and deportations in Poland and fled to Belgium, where she was hidden by a Christian family. She eventually immigrated to London and became a long-standing supporter of groups like Jews for Justice for Palestinians. By contrast, Miliband’s older brother, David, the former foreign secretary, has an established track record of pro-Israel engagement. In the brothers’ race for Labor leader, David Miliband won the backing of more rank-and-file party members, members of Parliament and members of the European Parliament. 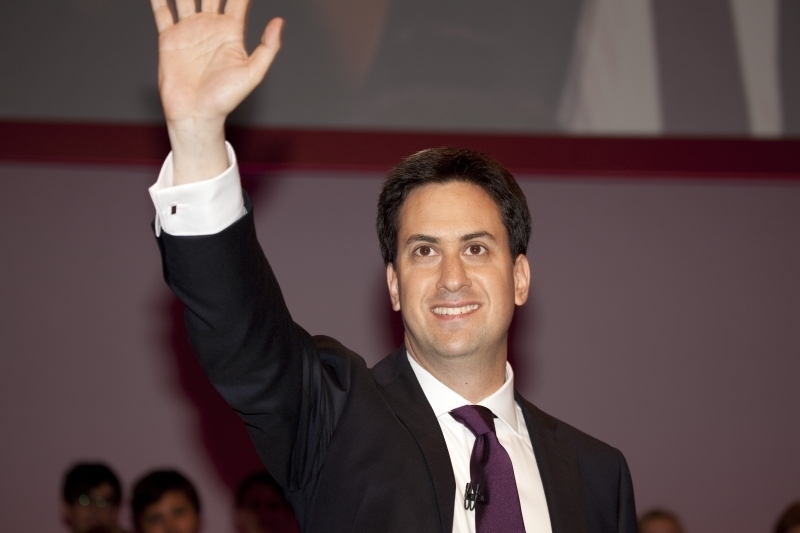 But the trade union vote went to Ed, helping to push the younger Miliband over the top by 1.3 percent of the vote. It is Miliband’s dependence on trade unions, which are seen as having anti-Israel policies, that have Jewish communal leaders worried. Among his supporters during the Labor leadership campaign was Unite, which in June passed a motion “to vigorously promote a policy of divestment from Israeli companies.” Unite also supported a motion reaffirming a boycott of goods produced in the West Bank at the Trades Union Congress conference. While Labor figures insist that Miliband will not be swayed by union positions on Israel, Robin Shepherd, the author of “A State Beyond the Pale: Europe’s Problem with Israel,” thinks that analysis fails to account for Miliband’s baseline political values. In an Op-Ed in the Jewish Chronicle, foreign policy analyst Martin Bright warned of dark days ahead for friends of Israel.